More than 60 mayors from around the world have joined forces to create an alliance dubbed a 'global parliament' to demand a more powerful role in the management of city growth and urbanisation. Speaking within the framework of the United Nations Habitat III conference in Quito, Ecuador, on Sunday, the mayors outlined a united vision in which local government would lead the global response to rising urbanisation. 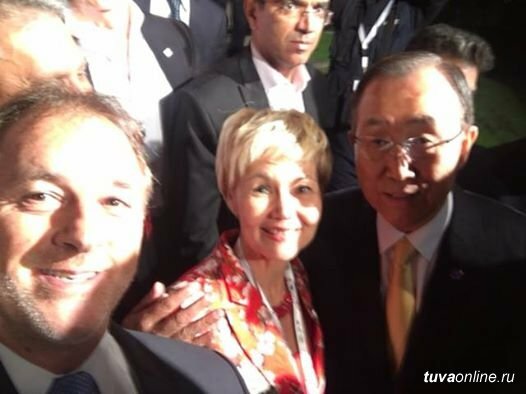 The World Summit of Local and Regional Leaders culminated on Saturday 15th of October in Bogota with the announcement of the new Presidency of United Cities and Local Governments (UCLG) and the adoption of the "Bogotá Commitment and Action Agenda” as the main political output of the Congress. During four days, more than 4000 participants from more than 100 countries gathered under the theme "Local Voices for a Better World”. A new publication of "Olma Media Group", a book by TV journalist Sergei Brilev "Forgotten Allies in the Second World War" was at the 25th Moscow International Book Fair - Expo. In the hardcover with a volume of more than 700 pages, the international journalist tells about the part played by the "small countries-allies" of USSR, USA and Great Britain. The most attention is paid to Latin America, Africa, islands of there Caribbean Sea and Oceania, as well as to Tuva, which was independent at the time - Tuvinian People's Republic. 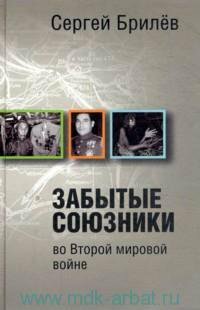 The book is based on declassified archival materials and interviews of the author with participants in the events. Remember that Sergei Brilev was preparing a history series about little known allies of the "Big Three" in his informational program "News on Saturday". 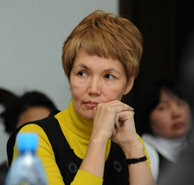 Agency for foreign economic relations of Tuva will be led by Chylgychy Ondar. The main task of the new Director sees to raise the Agency’s activities at the level of the requirements identified the head of the Republic, reported the Tuva Government. “The main goal of the head of the Republic before us to create the most favorable conditions for the growth of external trade. Delegates of Moscow region Duma unanimously supported the candidacy of Sergei Shoigu, who was nominated for the position of Governor of Moscow region last night by the President. 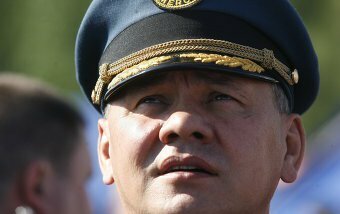 Mr. Shoigu himself remarked that he will be sorry to leave the MChS; to him it will be just like sending a daughter off to be married after bringing her up for twenty years. On Thursday, Moscow region delegates supported the president's candidate for the position of Governor of Moscow region: all 46 members of the Duma gave their votes to Shoigu. Russia’s ruling United Russia party managed to cling on to its majority in the lower house in Sunday’s parliamentary elections, despite failing to get a majority of votes in an election that was marred by accusations of vote rigging and intimidation by opposition parties. With 96 per cent of ballots counted on Monday, United Russia, the party of prime minister Vladimir Putin, had 49.54 per cent of the vote, down from 64.3 per cent in 2007, which would give the party 238 seats in the 450-seat parliament, down from 315. The founder of Tuvan State Mongush Buyan-Badyrgy should have his own personal monument. 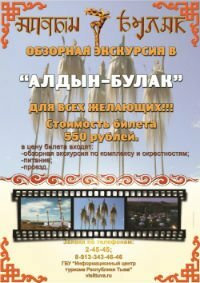 In 2011, as Tuva celebrates the 90th Anniversary of the founding of Tuvan people's Republic, the monument to our former ruler should be erected at a prominent place in the capital. That is what one of the most respected elders of the republic, Doctor of Historical sciences, investigator of shamanism Mongush Kenin-Lopsan reported to the Premier Sholban Kara-ool. The meting of the Premier with the aksakal (elder) took place on 10 April at his working "cabin", which is located in the center of the town. 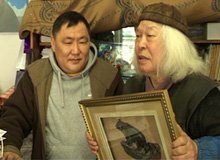 Sholban Kara-ool brought birthday greetings to Mongush Borakhovich and a present - an engraving with an image of a bear, which personifies a symbol of power and authority in shamanism. It is quite possible that the 90th anniversary of the founding of Tuvan people's Republic will be welcomed with a new national anthem. The necessity of composing a new chief song of the republic, with words and music that would correspond to contemporary realities was discussed at a common conference of the Soviets of the Government and the Supreme Khural, which took place on 21 March. Dalai-Lama the 14th today announced his decision to officially resign from his political post as the head of Tibetan government in exile. He explained that he is making this decision because "in long-term perspective, it will be good for the Tibetans". "Since the 1960's, I have always emphasized the necessity of finding a leader, freely chosen by the people of Tibet, to whom I could transfer the political authority, - The Dalai-Lama said in an announcement at Dharamsala (Indian state Himal-Pradesh). - The time has come to bring this into practice." 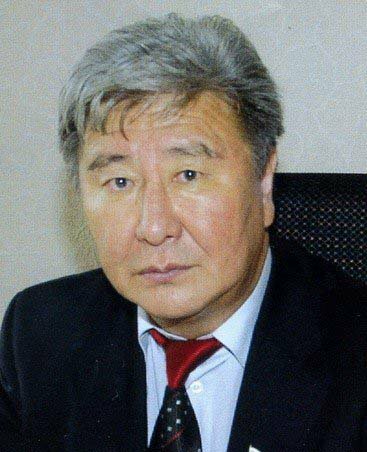 The head of Tuva Sholban Kara-ool announced the appointment of a new vice-premier of the government in the matters of development of informational communications. The adviser to the head of the region, editor-in-chief of IA “Tuvaonline” Dina Oyun will be appointed to this office; she will take up the task of realization of the program of adoption of “electronic government” in the republic, as well as of matters of development of informational politics. The head of the region Sholban Kara-ool emphasized that the task of developing an informational society, set by President of Russia, is becoming more relevant every day.